I stumbled upon the second of Jose Padilha’s Brazilian cop thrillers first. The more available of the two (on Netflix instant watch) the film caught my immediate interest and left me stunned. A month later I tracked down a copy of the first film and completed in reverse order a pair of films that some might compare to having the relationship and power of The Godfather and The Godfather Part II. However, Padilha’s films are more reminiscent of two sources: Scorsese gangster films (Goodfellas and Casino) and because of its setting, subject matter and shooting style (City of God). The film uses a narrator like all three of those and is told in a broken up structure. Nevertheless, the Elite Squad movies stand on their own as relentless and effective works of cinema. 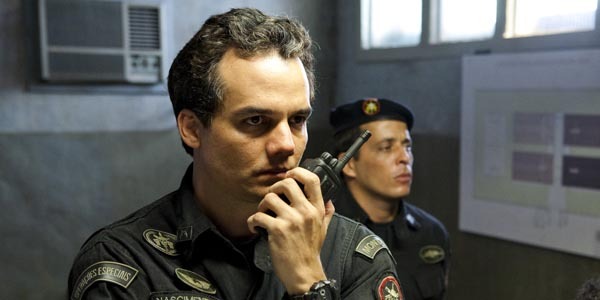 The story follows a cop Nascimento (played by actor Wagner Moura) as he moves up in the ranks of Brazil’s toughest/meanest police division BOPE (the elite squad of the title). They wage war against the drug trade in Rio de Janeiro. In both films the protagonist struggles with the temptation to leave the force (based on pressures from his wife) or to stay in the fight, surrounded by corruption even in his own squad. He tries to find an adequate replacement who can take on the almost Batman-like justice he serves upon the city, which introduces various police officers including actor Andre Ramiro (who crosses over in both films). Nascimento is one of the most intriguing characters I have seen on time in a while. At once stern and stoic, Wagner Moura gives him moments of emotional vulnerability, frustration and compassion which add up to a complex (I hate to use the term) anti-hero. Some might call him a fascist (with his Wyatt Earp brand of killing justice), his torture techniques and his merciless attitude towards drug dealers and corrupt cops, but in the end he is only a man caught in the middle of a terrible situation doing his best to make his country better. 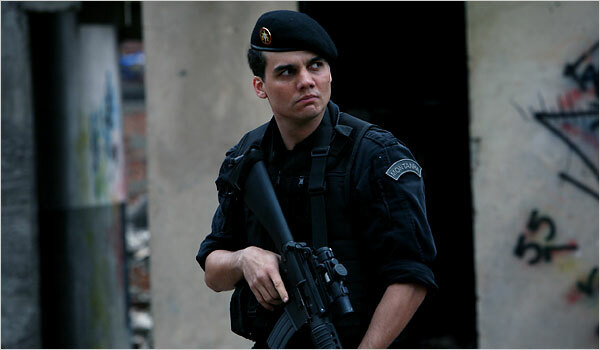 He’s Serpico with the madness of Jeremy Renner’s Hurt Locker character and like Renner, Wagner Moura is one of the most exciting actors working today. He is also wonderful in the film V.I.Ps and will soon play Italian director Federico Fellini in a film. Here he creates a character who resonates far past the confines of the film’s running time and holds his place in film history. What Padilha (who actually considers this a trilogy with his debut documentary Bus 174) has created with these films is a crime epic on the level of James Ellroy’s L.A. Quartet novels. It is ambitious, spanning corruption from the streets to the police departments to the press and politicians. I am impressed by how relentless the film is, unapologetic about its portrayal of a situation with no easy answers. 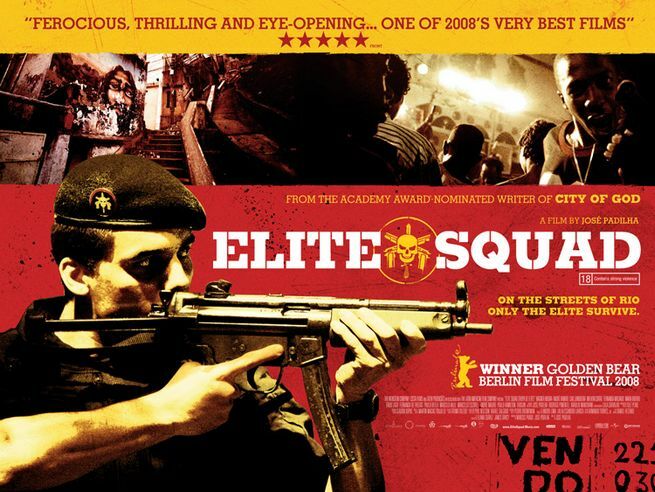 The second Elite Squad was the most successful film to ever be released in Brazil, beating out Avatar‘s gross in that country. Since then its director has made the move to America and will direct the remake of Robocop. Though that story provides him the opportunity to flex his muscles in similar subject matter, I cannot help but worry about the direction of his career and wish he had stayed in Brazil like many other foreign directors who lost something in their move to Hollywood: Peter Weir, Paul Verhoeven, Roman Polanski, etc. One can only hope that regardless of the money Padilha continues to make good films.